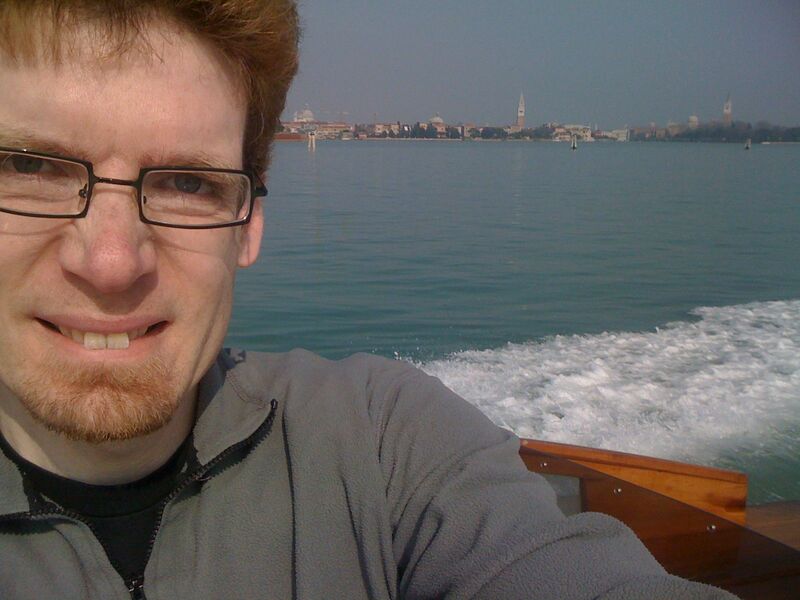 Two full days in Venice. 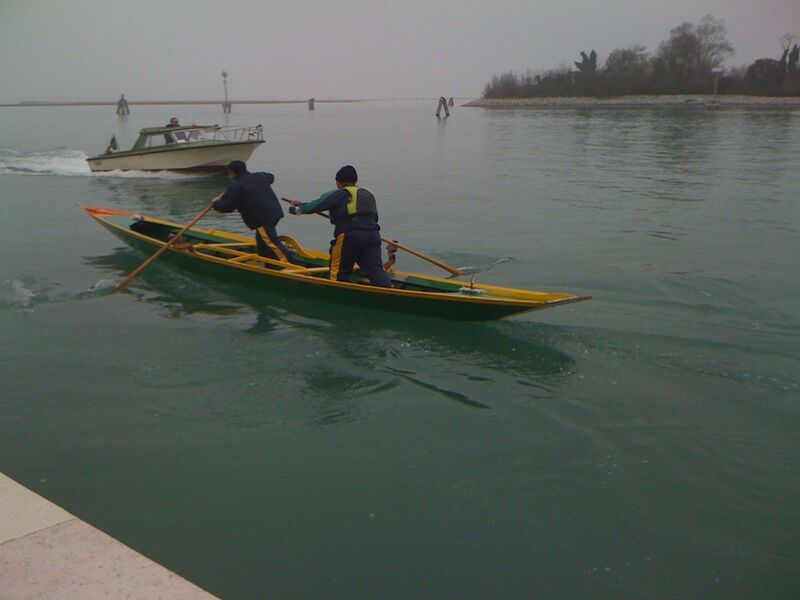 First we measured the effect of strong motorboat waves on a hand-rowed two person boat called a mascaréta. We used seven wireless accelerometers (Waspmotes w/ Zigbee modules) to track five points on the boat and two points on one of the rowers. It turns out the rower is a world-famous athlete who has won a local rowing competition four times, earning the title “King of the Lagoon”. I didn’t catch his name, but I did help gorilla tape a sensor to his arm. 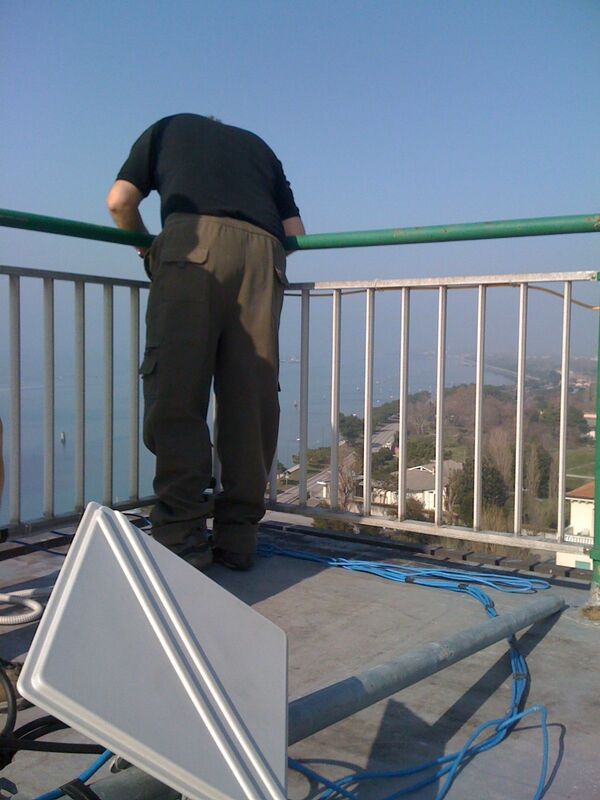 Next, we installed a splitter and a new antenna on the central node of our WiMAX / mesh hybrid network in the lagoon, and added two new links (8km and 11km). This included a few hours of water travel, lugging around many kilos of wireless gear, climbing sketchy ladders and walls, and generally trying not to drop anything (including ourselves!) in the lagoon. This network is helping to study the movement of the tides around Venice in realtime. Now I’m on the train, blogging all of this from a smartphone using a data sim that cost a only few Euros. Wireless is a catalyst for rapid change, and I’m very happy to help feed it! Previous Previous post: 10 km link achieved!